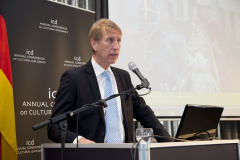 Paul de Knop is currently the rector of the Vrije Universiteit of Brussel. De Knop obtained a Bachelor’s degree in Physical Education and Leisure studies at the Vrije University of Brussels. Additionally, he earned a Master’s degree in the Sociology of Sports and Sport Management at the University of Leicester in the United Kingdom. He later received his doctorate degree in Physical Education at the Vrije Universiteit of Brussels. From 1997 to 2008, Dr. De Knop was professor at the University of Tilburg, and was chairman of the Board of Community Education from 2002 to 2008. De Knop teaches sport sociology and sport management. In addition to his position as rector, he was the president of the Flemish Fund for Scientific Research from 2009 to 2010. 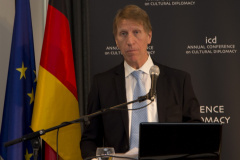 Prof. Paul de Knop has received several awards for his academic work. In 1992, he received the Piet Theysprijs for academic research on youth sports. In 2004, he was the winner of the Sport Management Excellence Award from the European Association for Sport Managemen. De Knop was also the winner of the Best Practice Award in Sport and Recreation Management in 2005, awarded by The Institute of Sport and Recreation Management.